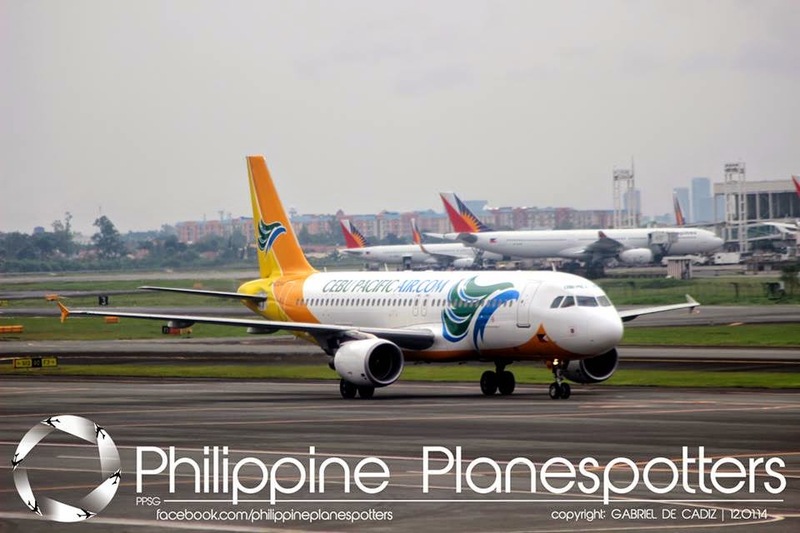 Aviation Updates Philippines - The Philippines' largest low-cost carrier, Cebu Pacific Air, received a P52,110,000 million fine over flight delays and cancellations on Christmas week. About 10,400 affected passengers will also be given a P5,000 compensation as imposed by the Civil Aeronautics Board. According to Victor Luciano, the aviation agency's Director, that the violation of its certificate of public convenience and necessity by Cebu Pacific was confirmed. This forced the agency to fine Cebu Pacific as the airline was being irresponsible to its passengers. The Civil Aeronautics Board also decided that Cebu Pacific should give a P5,000 compensation to the 10,400 affected passengers during the incident on January 24, 25, and 26, 2014. Last year, thousands of passengers were affected due to the 20 cancelled flights and 288 delayed flights at the Ninoy Aquino International Airport Terminal 3. Carmelo Arcilla, CAB's executive director, said that it was the largest fine imposed ever on an airline in the Philippines. He also said that the fine was based on a formula and the provisions of Republic Act 776 or the Civil Aeronautics Act of the Philippines, according to GMA News. “Cebu Pacific clung to its arguments that, while it committed lapses in the handling of passengers, the main contributory factor to the disruption was air traffic congestion and terminal infrastructure deficiencies," Arcilla said in a separate report. "After considering all available data and arguments, the board concluded that the main culprit was Cebu Pacific’s operational lapses and mishandling of passengers.” Arcilla added. Meanwhile, Cebu Pacific Air Chief Executive Officer, Lance Gokongwei, apologized to passengers of the airline who were affected by delays and cancellation of flights during the holiday peak season. During a hearing, Gokongwei said that he is sorry for failing its passengers during those days. “Today, 6 of 10 Filipinos choose to fly with Cebu Pacific when they travel within the Philippines. In 2014, we carried almost 17 million passengers to, from, and within our country. I am humbled by their trust that Filipinos and foreign tourists place on Cebu Pacific to take them safely home to their destinations,” Gokongwei said in a hearing. “Last Christmas, we let them down and I am profoundly sorry that we failed them,” he added. The airline's reasons were air traffic congestion, lack of personnel, bad weather. However, the Manila International Airport Authority's General Manager, Jose Angel Honrado did not believe that air traffic congestion is one of the reasons of the delayed and cancelled flights. However, Cebu Pacific is not the only carrier being fined by CAB last year. The aviation agency also fined PAL Express with P8 million, and Emirates with P1.8 million after violating several rules set by the Civil Aeronautics Board.